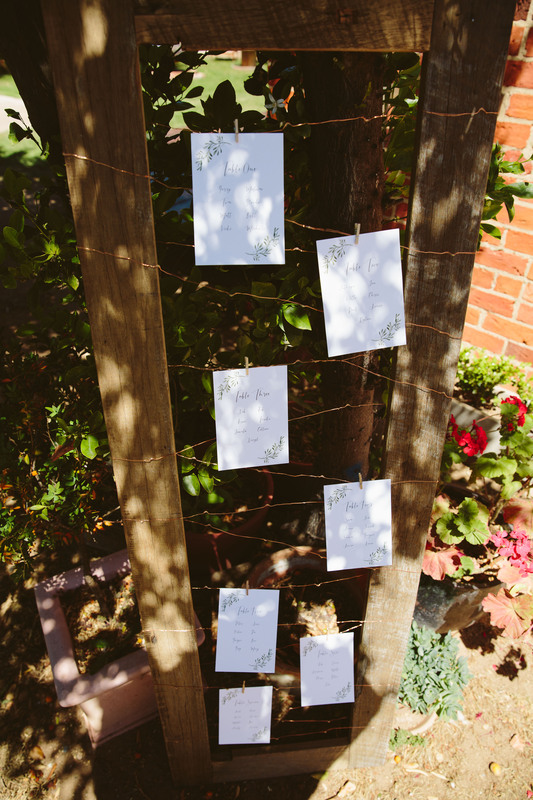 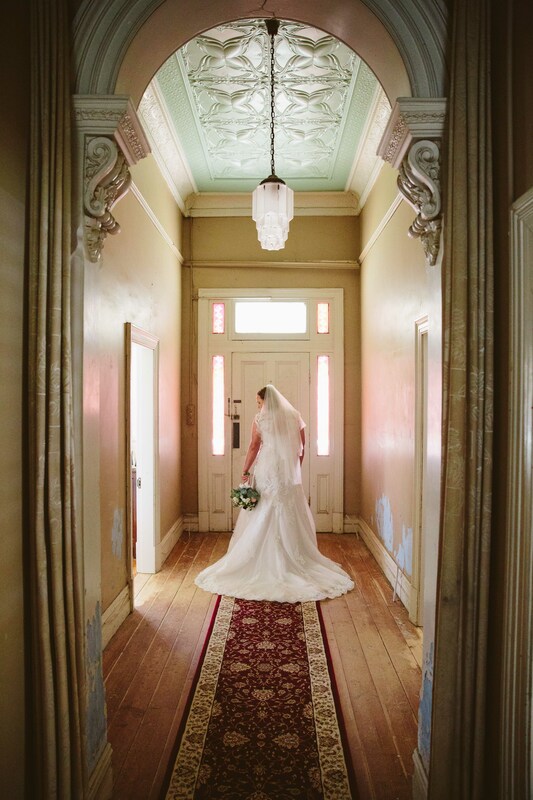 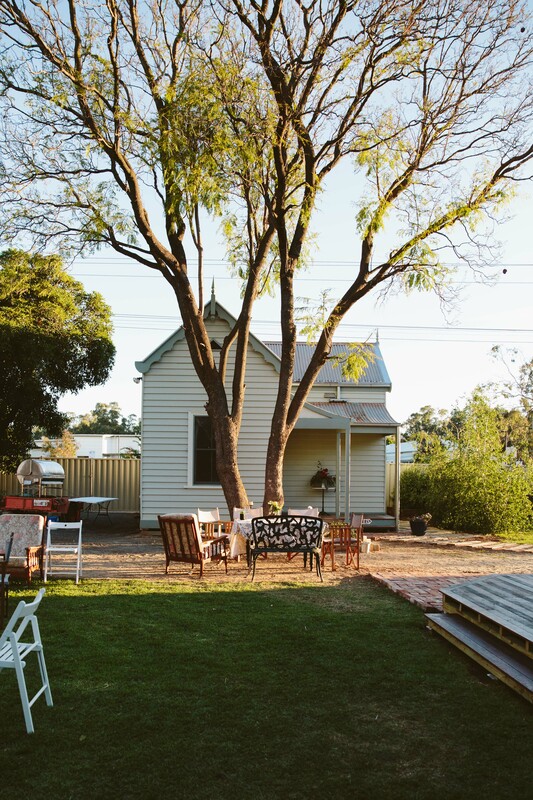 The beautiful, landscaped garden of historic Dubuque Bed & Breakfast in Numurkah was the perfect location for the intimate, rustic-themed nuptials of Rachael Hitchcock and Snowy Mullane. 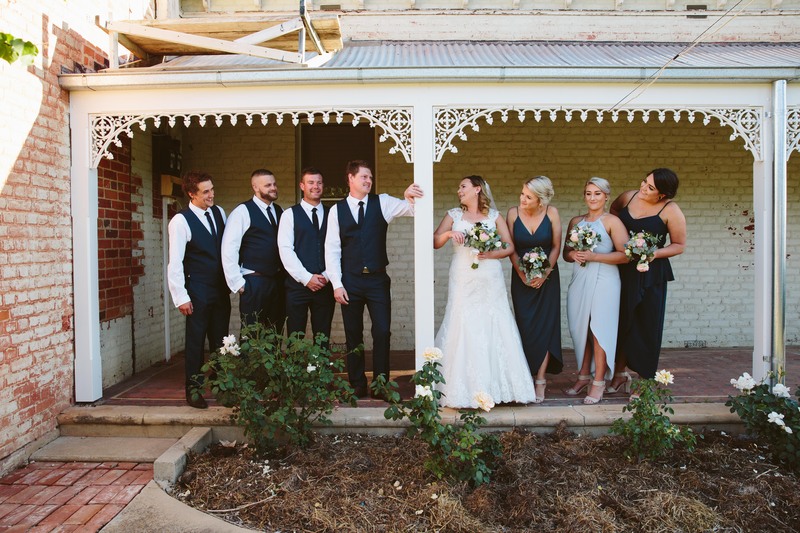 Rachael’s bridesmaids chose gorgeous gowns in complementary shades of blue, an of the moment trend. 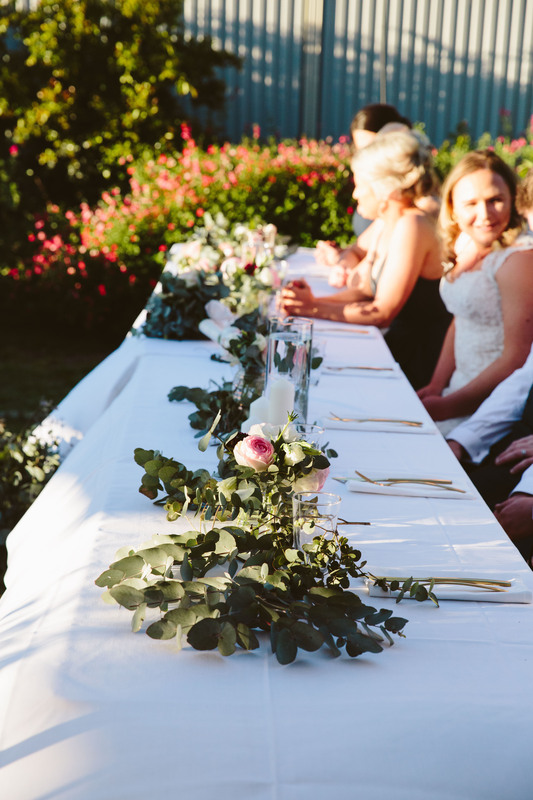 The blue was further enhanced by the blue gum leaves as part of the bouquets of classic roses, lisianthus, hypericum berry, scabiosa and artificial anemones. 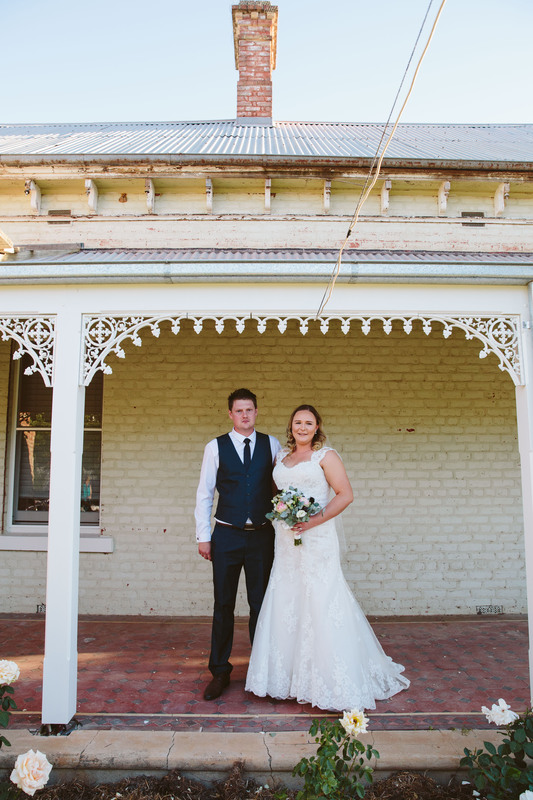 The rustic, country theme of Rachael and Snowy’s late-spring wedding was reflected in many elements of the styling. 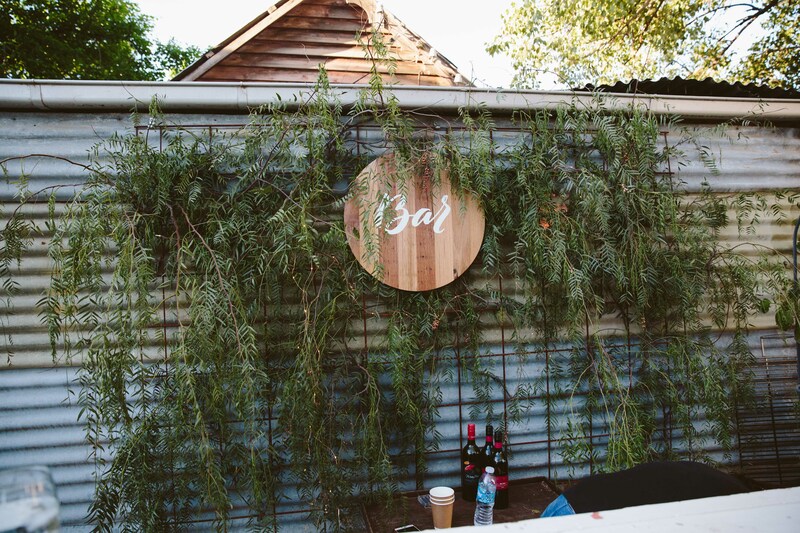 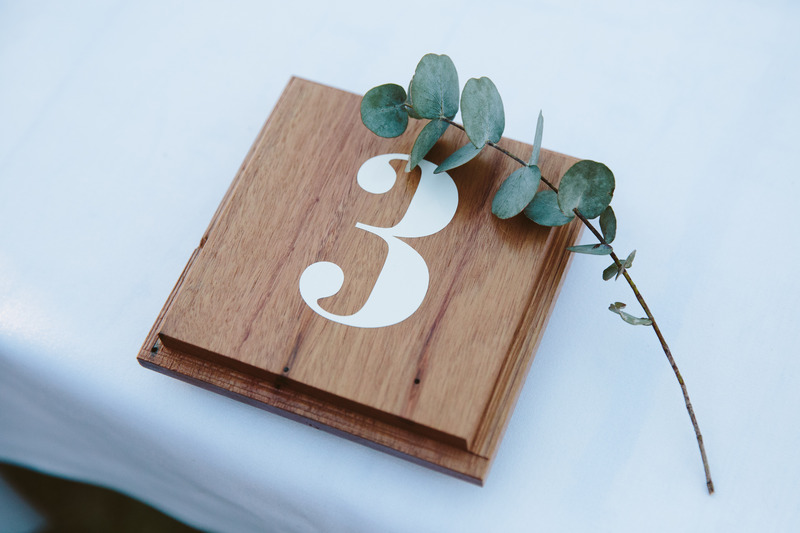 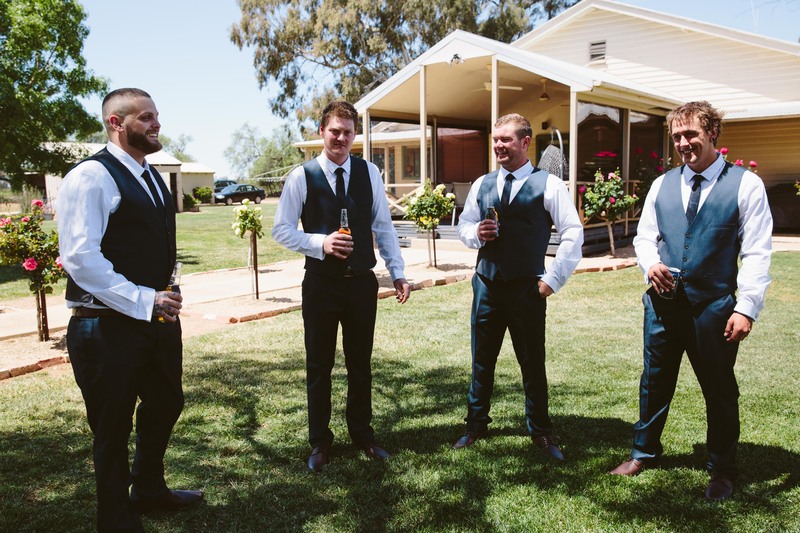 The bride’s brother Mitchell worked with his boss Adrian Salter from Salter Furniture Creations in Koonoomoo to design and handcraft the gorgeous timber signs that welcomed guests to the ceremony, directed them to the refreshment bar and numbered each table. 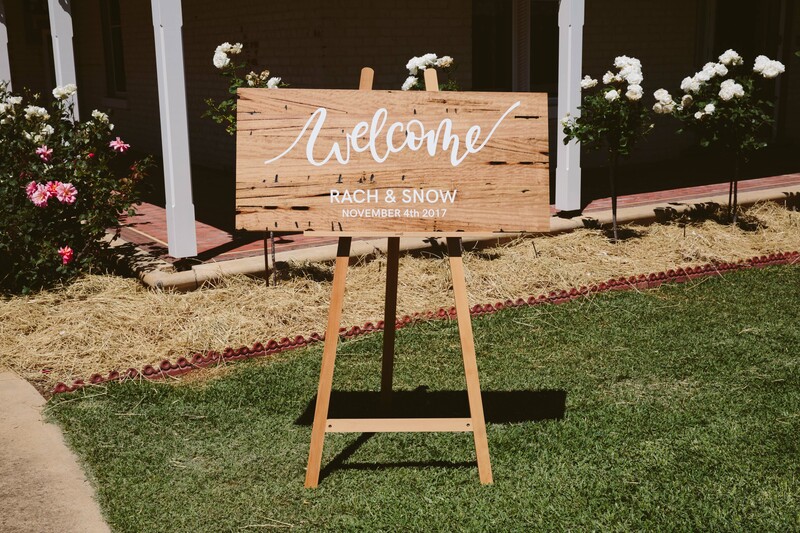 Rachael and Snowy called on their collective local village to create the relaxed vibe of their day. 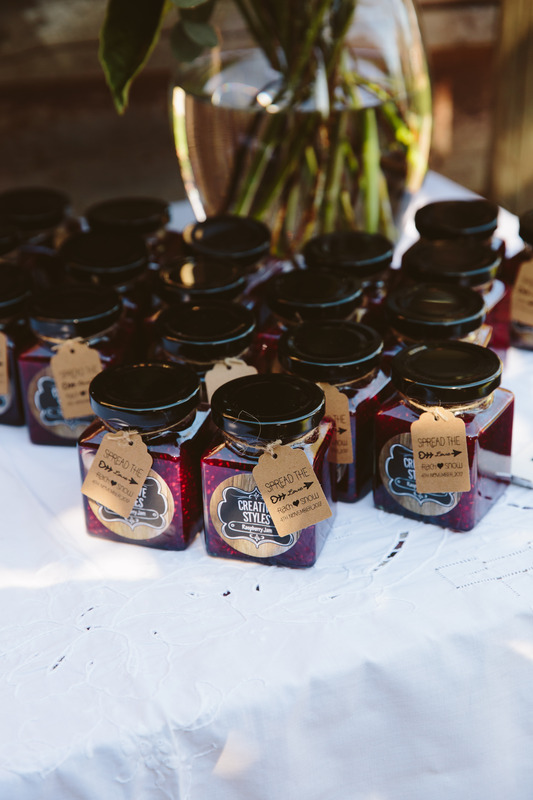 “We started planning 12 months in advance and where we could, we sourced from local businesses. 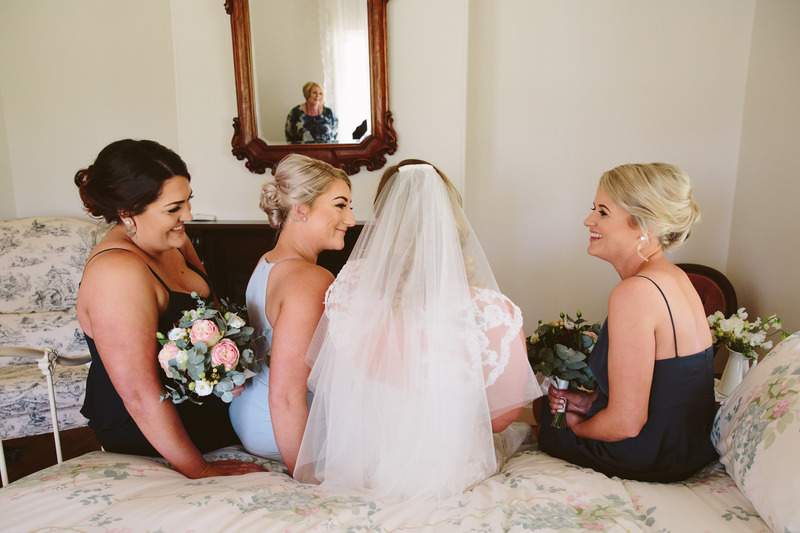 Knowing everyone that helped make our day special – from hair to make-up, to purchasing of the suits and the venue owners – made our day more relaxed,” Rachael said. 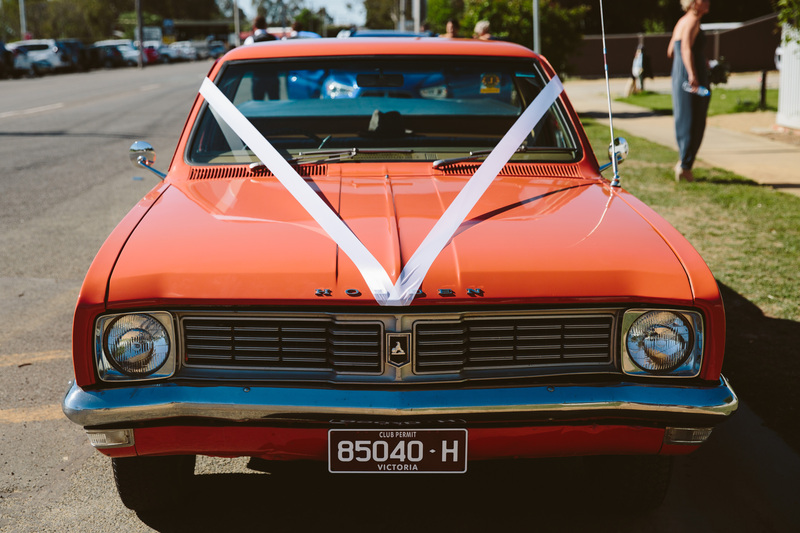 An immaculately-maintained, bold-orange 1970 HT Holden utility was the mode of transport chosen for the wedding day. 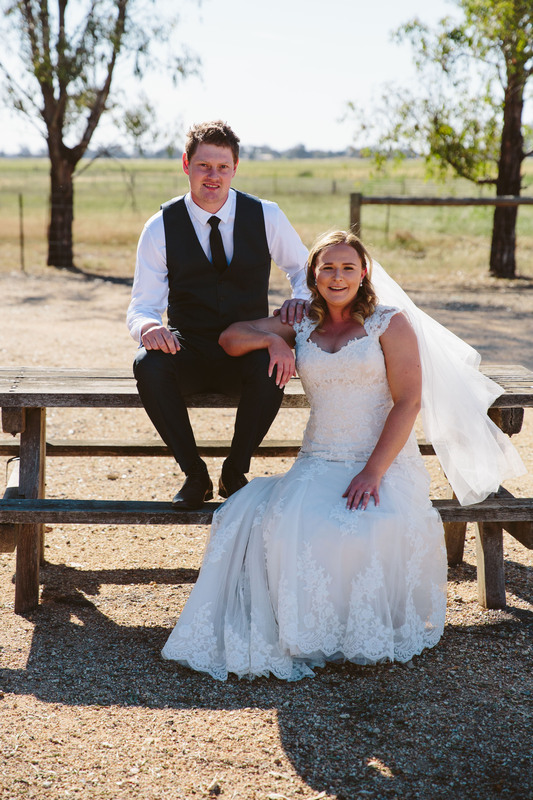 Rachael said it was very special for her to travel in her grandfather’s ute that had been passed down through generations of her family. 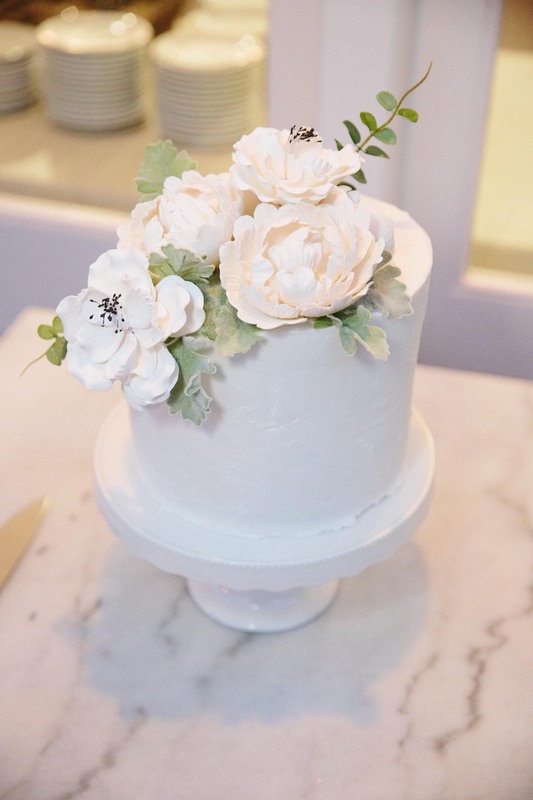 We love: The classic, natural colour scheme. 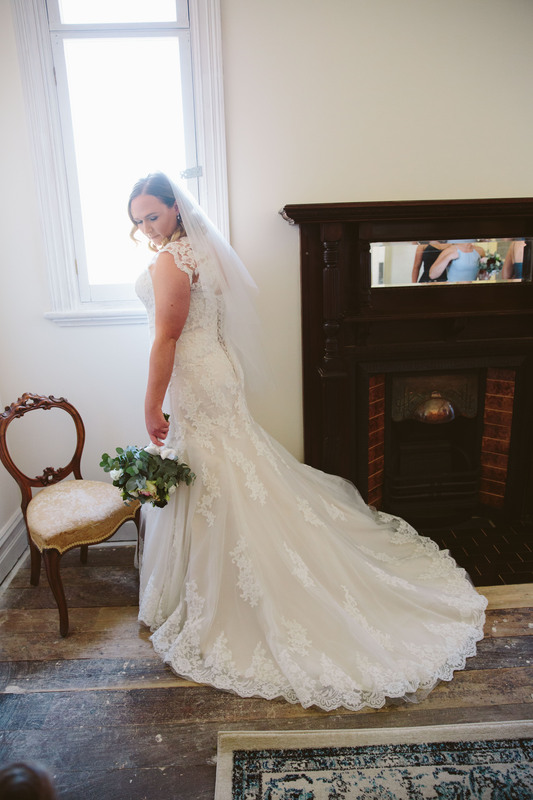 See more photos from Racheal and Snowy's wedding day over on our Instagram.